Robeco is an international asset manager offering an extensive range of active investments, from equity markets to government bonds. Today, Robeco is the center of asset-management expertise for ORIX Corporation, Robeco’s majority shareholder based in Tokyo, Japan. 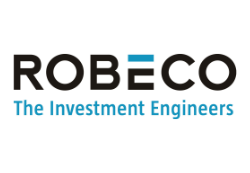 Robeco believes strongly in sustainability investing, quantitative research techniques and adding value for clients through innovative investment techniques. Robeco merged with iPS in order to combine forces in the growing PPI pension market. In order to reap the benefits of this merger, the pension portfolio needed to be consolidated in a single administration. DX worked with Robeco's partner GroupLife to execute this complex migration. Over 40.000 contracts were migrated in DX's migration factory. Continuous reporting gave Robeco insight in the real progress. DX already had experience with the target systems Lifetime (Inovita) and Fundation (Topicus). This made the migration relatively straightforward. Data migration is not our daily work. We needed to migrate two products - Flexioen and PPI - to two new target environments. Further, we were dealing with two separate BPO parties, which complicated matters. The quality controls and many reports we received proved we made the right choice selecting DX. DX is an independent specialist for data migration. DX delivered a complete migrated data set and a verified migration script for a big bang migration. The migrated data set included historical transactions and a document migration. Executing the migration script - including al the verification steps - concluded in a fully successful migration.